We serve the whole of Saxilby as well as its surrounding villages providing the very best in general practice services. Our team includes six GPs, a Clinical Pharmacist, an Advanced Nurse Practitioner three practice nurses, two healthcare assistants as well as reception, administration, secretarial and dispensing staff. We offer a full general practice service as well as providing in house services such as chronic disease management, contraception advice and management, antenatal and postnatal care, childhood immunisations, travel vaccines and more. We also provide training and placements for young doctors in training who wish to gain experience as a doctor in general practice. We provide a dispensary service for patients living further than one mile from the village chemist. 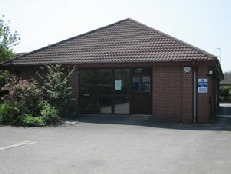 Our branch surgery, Skellingthorpe Health Centre, serves patients residing in Skellingthorpe. Patients are permitted to take advantage of both sites no matter where they live within the practice boundary area. Each of our surgeries is accessible to those using a wheelchair. We also have parking spaces reserved for patients displaying a disabled parking badge. The practice has its own wheelchair available for your use at Saxilby. Baby changing facilities can be found in the patient toilets in reception at Saxilby. Hearing loops are installed at both sites. Book your cervical screening appointment with us today!